Welcome To Ladun Liadi's Blog: King Cake Baby Creator Suing Movie Producers For Using A Character That Looks Like His! 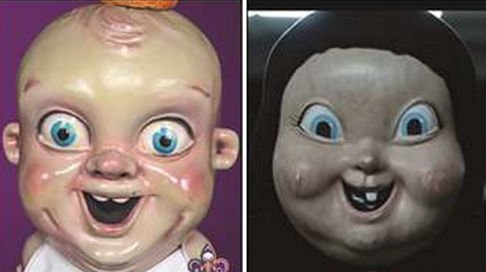 The guy who created that freaky King Cake Baby character, the New Orleans Pelicans mascot claims the movie "Happy Death Day" jacked his freaky face and now he's suing to get revenge. Bertuccelli says NO ONE involved in the movie ever called him up to ask for permission or even credited him and he's pissed at Universal City Studios, Blumhouse Productions and everyone else attached to the film.